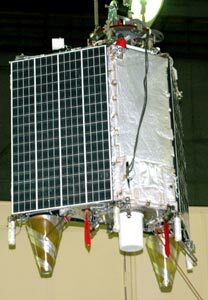 Sina 1 (also erroneously transcribed Sinah 1) is Irans first satellite. This satellite is a 160 kg experimental payload built by Russia's Polyot, based in Omsk. The satellite is built on the Sterkh bus. Some reports indicate an imaging payload, others a communications payload. Sina 1 was launched in October 2005 onboard a Kosmos-3M launch vehicle from the Plesetsk Cosmodrome.